Laura Wasser, a lawyer for famous actor Johnny Depp, revealed that Amber Heard actually refused to testify in the case against her former husband. Wasser has filed some new legal documents in which she claimed that the actress started yelling and laughing, refusing to testify. So, Amber Heard was supposed to give a testimony in front of her estranged husband’s lawyers, on Saturday. Amber waited for 10 hours at the law office, but when she was supposed to enter the deposition room, she just refused. Actually, Wasser said that Amber was called in several times throughout the day, but she kept on refusing to talk. Wasser accused Amber and her legal team of failing to give her estranged husband’s lawyers the legal documents they requested. What Johnny Depp’s lawyer is seeking now is for Amber to be prohibited from testifying if the case goes to trial. While it remains unclear exactly what has happened during the deposition, what is certain is that Amber was granted an extension to her restraining order against her estranged husband. Amber did not make an appearance in court, but was represented by her lawyer. 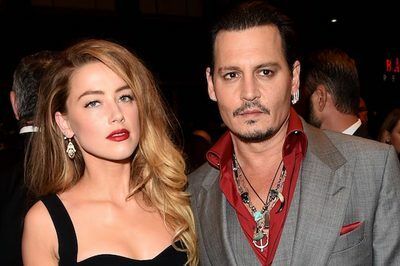 Amber accused Johnny of domestic violence and claimed that the actor has been abusive towards her throughout their entire marriage. Johnny is also set to be deposed, but after Amber’s deposition is completed.